I’m not gonna lie, I’m very transparent about my love for Fall. I don’t mess around. Pumpkins, leaves, apples and spice-I need it all. Holidays in general are just very nostalgic for me and therefore I cling to traditions like nobody’s business. 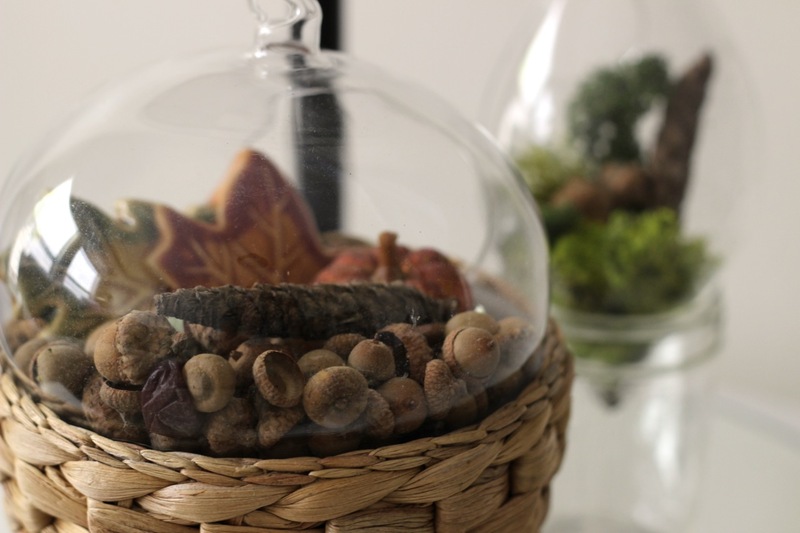 As I surveyed my box full of Autumn decor I thought about my first apartment and how it was around Fall and I barely had a couch but I had this huge box of Fall decor. Then a flood of emotions and memories came over me, good memories. I like that these simple moments can bring so much joy, so I often give into them. I feel like it’s something that I have had to try and preserve-these traditions. It’s easy to get into the pack-mentality of being super busy and not making time for traditions because who knows how long you will be here. But I feel like it’s a gift to experience those moments and traditions so I’m all for it! Anyway, tangent. Back to that box of Fall goodies. 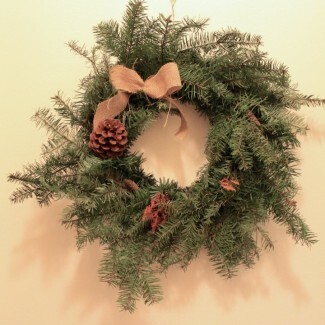 I had an assortment of the usual; some foliage consisting of dried eucalyptus and those fake fall leaves in assorted colors, acorns that I hand-picked back when we lived in Virginia, a grapevine wreath….the main players. Every year I end up using these items in a new different way, depending on what I have accumulated throughout the year. 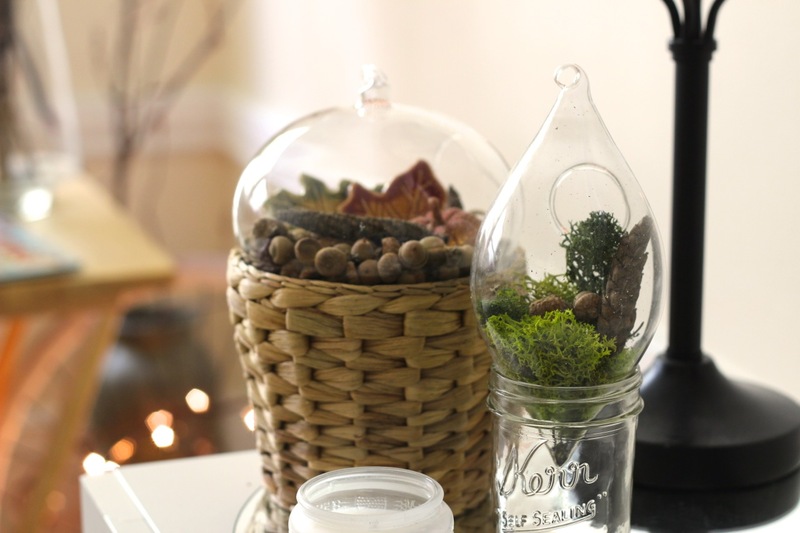 So, I looked around and spotted my little glass terrariums, some with nothing in them and some with dried up, blackened air plants that I once again neglected…seriously, who kills air plants? Time to re-purpose those babies for Fall. 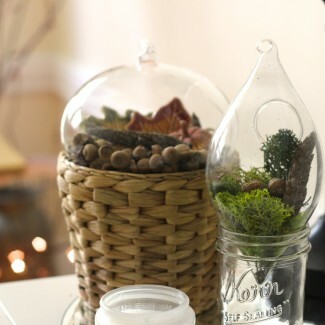 And really, any glass container can be a terrarium. 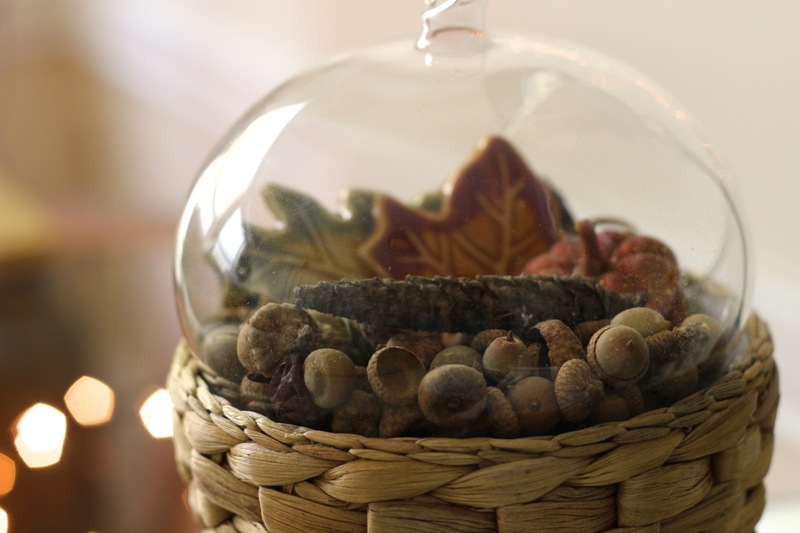 Just fill it with some of your favorite Fall findings! 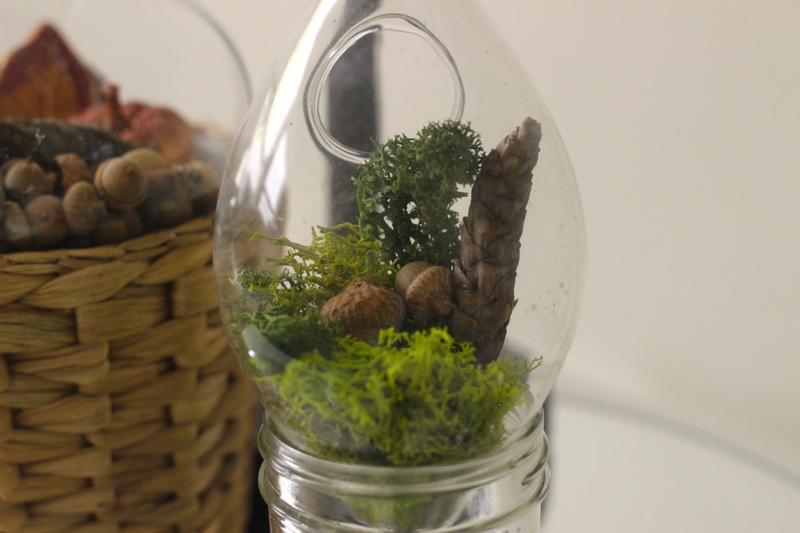 Since mine are the hanging variety I chose to set them in something to act as kind of a pedestal for the terrarium. 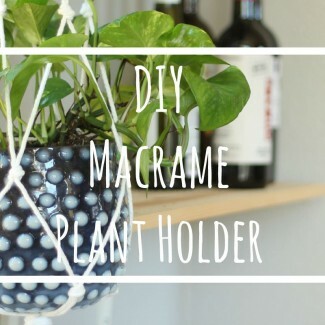 A simple mason jar and a plant holder does just the job.